Hours after Rahul Gandhi accused her of "lying" about procurement orders worth Rs 1 trillon for aerospace major HAL, Defence Minister Nirmala Sitharaman Sunday called it a matter of "shame" that the Congress chief was "misleading" the country without fully understanding the issue. Suggesting that Gandhi jumped the gun while making the charges following a media report, Sitharaman's office tweeted that Gandhi should "start from ABCs" and read the complete report before commenting on it. "It's a shame that the president of @INCIndia is misleading the nation. HAL has signed contracts worth Rs 26570.8 Cr (Between 2014 and 2018) and contracts worth Rs 73000 Cr are in the pipeline. Will @RahulGandhi apologise to the country from the floor of the house?" Sitharaman tweeted from the defence minister's official handle. She also tweeted details of contracts awarded to HAL since 2014 when the BJP came to power. According to her, the Rs 49,797-crore contract to HAL for supply of 83 light combat aircraft Tejas to Indian Air Force was at the technical evaluation stage. Another contract, whose tentative size is Rs 20,000 crore, for supply of a batch of Kamov Ka 226 T helicopters was also in the similar stage. Earlier, Gandhi alleged that she "lied" in Parliament that government orders worth Rs 1 trillion were provided to HAL, while demanding that she should either place the documents in support of her statement in the House or resign. Gandhi's attack came after a media report claimed that "not a single rupee of the said Rs 1 trillion has come to HAL, since not a single order, as claimed, has been signed till now". "Dear Shri @RahulGandhi , looks like you really need to start from ABCs. Someone like you who is hellbent on misleading the public will quote an article even before reading it," Sitharaman's office tweeted. 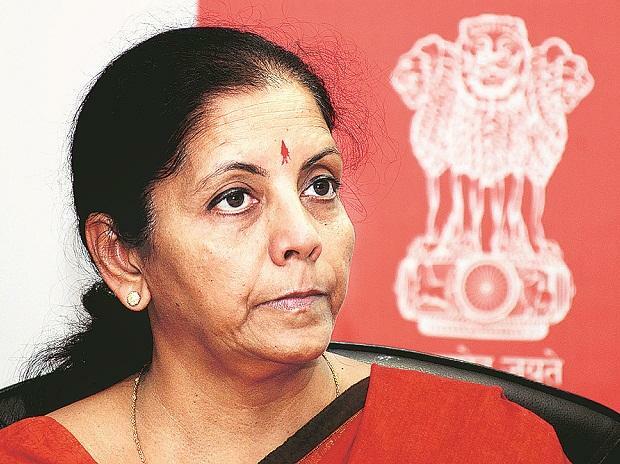 Sitharaman also pointed out that the media report said that "LS (Lok Sabha) record shows" that she did not claim the orders were signed and it mentioned that they were in the works. Sitharaman was talking about HAL during her reply to a debate on Rafale deal in Lok Sabha on Friday. "Tomorrow, RM must place before Parliament documents showing 1 trillion of Govt orders to HAL. Or resign," he said. His criticism followed a media report which claimed that HAL, grappling with low finances, was forced to borrow Rs 1,000 crore to pay salaries to its employees for the first time in years. Congress's chief spokesperson Randeep Surjewala tweeted on Sunday: "The Lying Defence Minister's Lies Get Exposed! Defence Minister claimed that procurement orders worth Rs 1 trillion provided to HAL! HAL says Not a SINGLE PAISA has come, as Not a SINGLE ORDER has been signed!"